One of the dilemmas I had when I travelled to Belize was how to get from Caye Caulker to Tulum, in Mexico, the easiest and the cheapest way. As at that time the information I found online was not very accurate (it was either too old or not relevant) and the hostel staff wasn’t that sure about the options either, I decided to create this guide to tell you how I’ve done it and how much I paid for it. How long will it take to get from Caye Caulker to Tulum? The answer to this question depends on how long you will have to wait at the border crossing between Belize and Mexico. I was lucky to spend only around an hour at the border, which pushed the arrival time to 8:30PM. When you buy the ticket, nobody will tell you exactly how long you will be on the bus and there is no arrival time written down anywhere. You didn’t book a hotel yet in Caye Caulker? Check out the best deals, discounts and reviews on accommodation in Caye Caulker here. How to get from Caye Caulker to Tulum? This option is the fastest one, but also the most popular one, which means that you need to book the boat in advance. The express boat to Chetumal costs 55 dollars (or 105$ for a return ticket). The boat leaves Caye Caulker at 7AM and arrives in Chetumal at 10:30AM. From the harbour you will have to take a taxi to the terminal, and then wait for the bus connection, which is at 1:30PM, 6:30PM and 11:50PM. A ticket from Chetumal to Tulum, with ADO Bus, costs between 160 – 326 pesos (8.5$ – 17.5$). 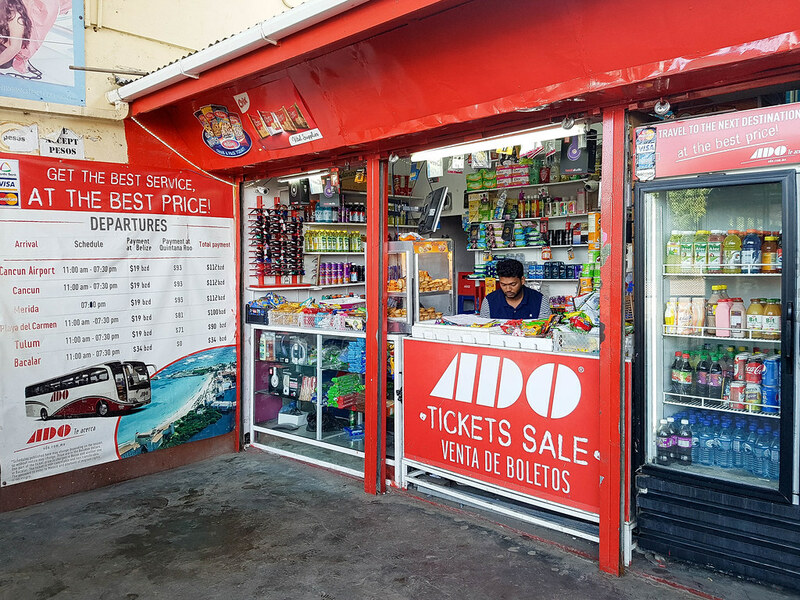 You can buy tickets online, from the ADO Bus website, but you need a Mexican credit card to pay for the transaction. 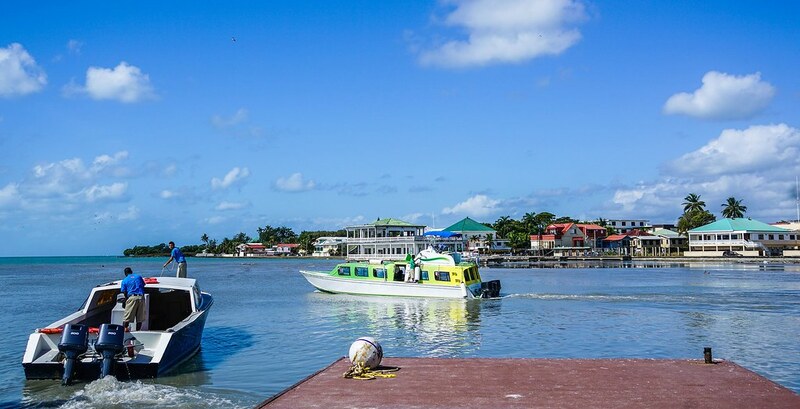 There are two water taxi companies in Caye Caulker, one leaving at 8AM and another one at 8:30AM. The longer in advance you buy your ticket, the cheaper it is. I recommend always to buy a return ticket rather than single ones, to save money. 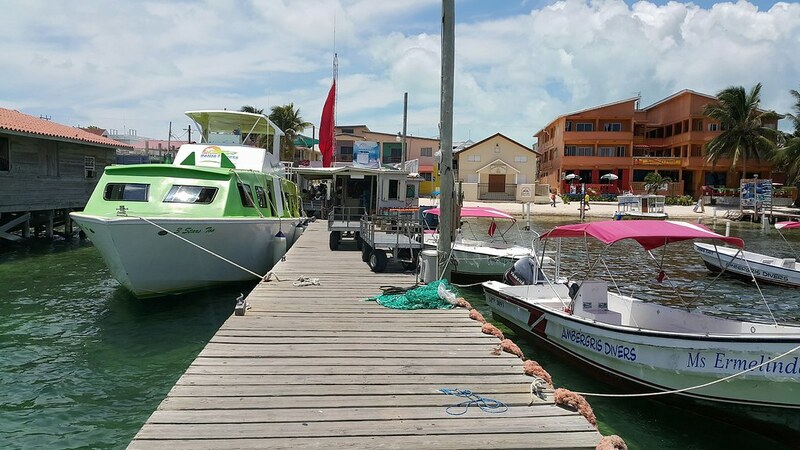 You can buy advanced tickets on the Belize Water Taxi website for 28$ return (18$ one way), or on the Ocean Ferry Belize website for 25$ return (15$ one way). From the harbour in Belize City you can walk to the bus terminal in about 20 minutes, but it’s recommended to take a taxi, as apparently, it’s a dodgy area. A cab will cost you around 8 Belizean dollars. Make sure you confirm the price before you get into the car, as I was told one price in the boat terminal, while I was waiting for my bags to arrive, and another one when I got off. The people that arrange the taxis for you are not the drivers of the cabs! 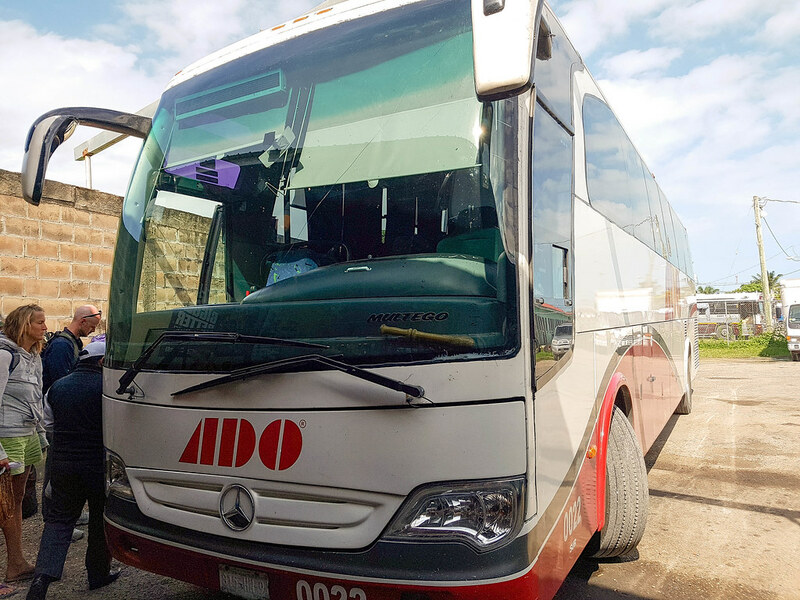 From the bus terminal in Belize City there is a daily ADO Bus going all the way to Cancun airport, stopping at Bacalar, Tulum, Playa del Carmen, Cancun and Cancun airport. The price of the ticket is 45$. Read below how to get tickets for this bus. 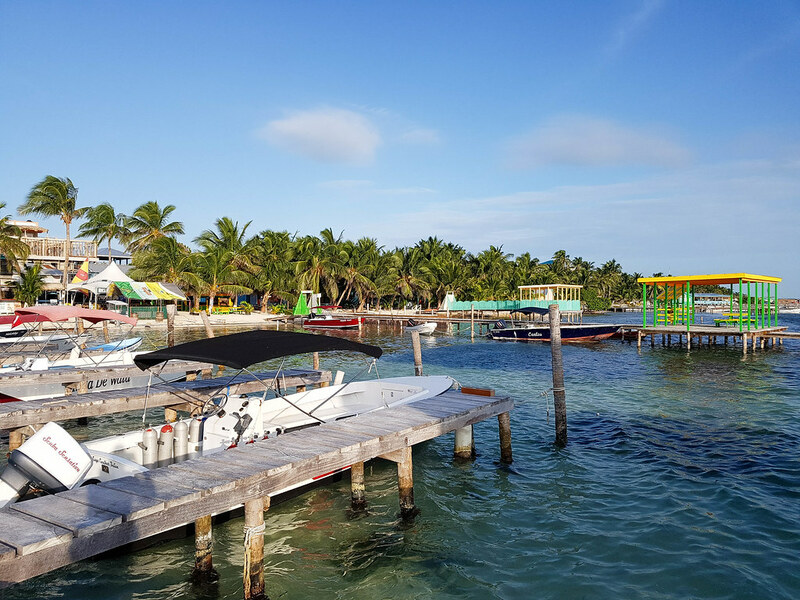 You can’t miss snorkelling during your stay in Caye Caulker! Read about my experience with the nurse sharks and stings rays in Caye Caulker here. Now I would call this bus “the phantom”, as it doesn’t appear anywhere online, not even on the ADO Bus website. However, it does exist, and it runs every day at 11AM from Belize City to Cancun Airport. You can only buy tickets for this bus on the day, in the bus terminal from Belize City, so make sure you arrive at least an hour before to the station, depending on the season. I was there in high season and the bus was half full, but you never know, so better to be safe than sorry! The ticket booth is situated just outside the covered area of the terminal, inside a snacks shop. You will notice a banner advertising the ADO Bus services on the stand. Sometimes there will be a few people queuing behind it. 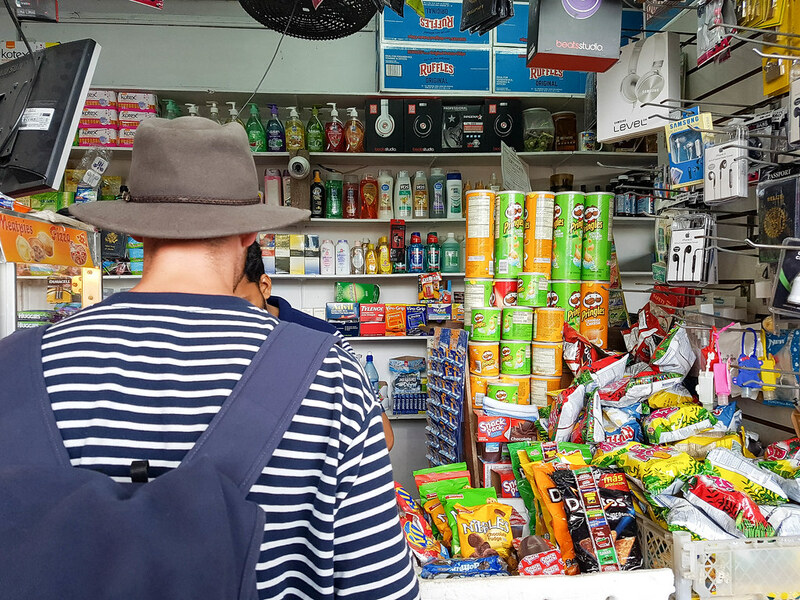 You will have to pay 19 Belizean dollars here and the rest up to 90 Belizean dollars as soon as you cross the border to Mexico and stop in Bacalar. The bus is modern and comfortable, with reclining chairs, air conditioned and a toilet on board. The bus runs every day, but if you are planning on traveling on the 1st of January you should always try to find out if it runs beforehand. In the past years it didn’t run on the 1st of January, this year it did, so you never know. You don’t realise that sometimes things aren’t quite so easy as we’re used to. Good to see you’ve found some easier ways, although think the water taxi is probably preferable. These are great tips. My cousin visited that place and she really enjoys the beautiful place of Tulum. and I think it’s time for me to visit this place too. Just waiting for my son to grow up! Great to learn there are two option to choose from 🙂 And I would love to try the water taxi as in where I live, there are no water taxi. Mexico is really an interesting place yet to discover. Thank you. I love the idea of a water taxi! This is great for anyone travelling in the area, and unsure of how to get from point A to point B.
I don’t travel much but since I don’t I can appreciate how helpful a post like this truly is. Since I don’t travel, I know that it will be very helpful to look at posts like this when I finally do. I like that you not only explain what people can do to get from point a to point b, but that you also show pictures – it will help with wayfinding! Gosh the bus sounds quite eventful, no details anywhere and sometimes runs certain days and sometimes doesn’t haha. It’s great you found a few different ways of getting there, something for everyone and every budget. I always struggle with public transport when I travel. I would probably take the water taxi, simply because I haven’t ever been on one so it would be a fun experience for me! I’ve never been to Belize before. I also get anxious when I don’t know where to go. Thank you for the guide. I’ve never been either, but what a beautiful part of the world. I’d love to visit one day. This is so helpful for people that are wanting to travel between the two as figuring out small details like this are an absolute nightmare in a foreign country! Good thing the bus has reclining chairs – they’re the best for long journeys! Caye Caulker and Tulum are two places I haven’t been to. I want to visit soon! What a beautiful place. Great tips for tourists visiting the area. 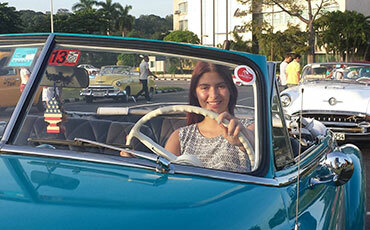 Getting around in a foreign town can sometimes be a challenge. Belize is so beautiful and especially in the water. Thank you for the travel trips! This will totally make my trip easier on my next visit. Sounds like a great adventure. We are going to Belize in June for a missions trip. I am excited! The journey there sounds like a mini trip within itself. Which is great because then it’s like a two for one trip. I love boats, so I would have to go with them….. Nothing better than a nice ride and water all around you……Such a helpful post for anyone travelling that way! This is a wonderful post. Traveling somewhere you’ve never been before is a little overwhelming. Great information here! Thanks. I have never heard of either of these places but it sounds like it would be quite the trip. I would love to be able to experience it! It looks like a fun and exciting trip you had. and your tips are so helpful. Will save all of your tips for my references. Thanks for sharing! This is a very helpful guide for those travelling from Caye Caulker to Tulum! Glad to have found it! Thanks for providing the best routes available when traveling from point A to point B, while in Belize! Every traveler can benefit from this! I think it would be so fun and beautiful to take the water taxi. it seems to be the most direct route. It is great that you found a way to get around the travels. I love your pictures. I would to travel to Belize someday. I am really looking forward to going to the Americas and exploring them properly. I love all the tips you share, they’re so handy! I enjoy travel on a shoestring budget and taking in the sights along the way. The routes that you supplied and taking the water taxi sounds like a great way to go. Thanks for all of the tips. I am not good with directions, before I leave the house I need to make sure I know how to go to my destination. This is an awesome guide for travelers who wants to visit Tulum! Lovee Tulum so much, and looks like I need to visit Caye Caulker on my next visit! Belize is so beautiful. Great tips for tourists visiting the area. Thank you for providing your insight and sharing the best routes here as there was not much available online for this route. I would love to visit Mexico once! That’s so weird that this bus doesn’t appear anywhere, thank you for sharing the info, it’s always nice to know the traveling options! 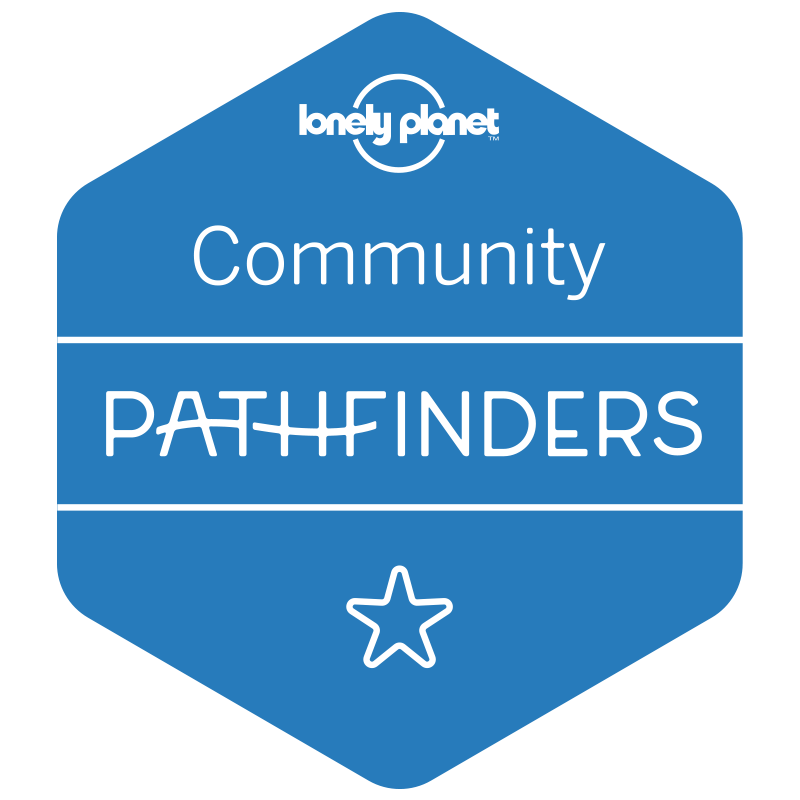 This will be a big help for traveler who are not familiar with the plce they are visiting. This is sure a big help for travellers who will visit Mexico for the first time. Thank you for this post. beautiful pictures. If I ever come to that part of the world, I will use this information. It seems crazy that there was no accurate information around, even with the people who worked in the area! But hey that’s changed now 😉 what a great resource for people.